Guess Who This Cheesin' Chick Turned Into! Before this grinning girl was Hollywood royalty and engaged to an A-list star, she was just another little lady rockin' bangs while growing up in Los Angeles, CA. Can you guess who she is? 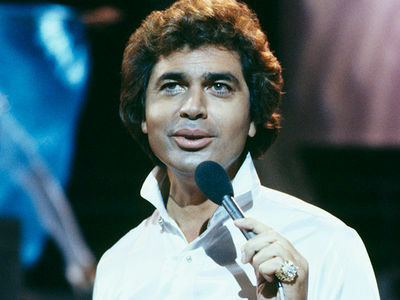 Singer Engelbert Humperdinck 'Memba Him? !